Of course, exceptions were made and in 1682 it was ordered that blacksmiths should have liberty to fell trees for charcoal. Symonds Epes owned a substantial farm and orchards at Wigwam Hill, named for a group of destitute Indians who briefly camped there. The land passed down through several generations, and Captain Lakeman, the husband of one of his descendants, cut the protecting scrub pines for lumber. This removed a barrier to wind, and the thin layer of topsoil blew away. Without the protection of the trees and grass, the farm quickly fell victim to the drifting sand. You can still see remnants of the old stone walls. A house (probably built by the Cranes) was built on the trail to Wigwam Hill, and the same fate befell it. All that remains visible is the top of a chimney protruding from a large sand dune which enveloped the house. 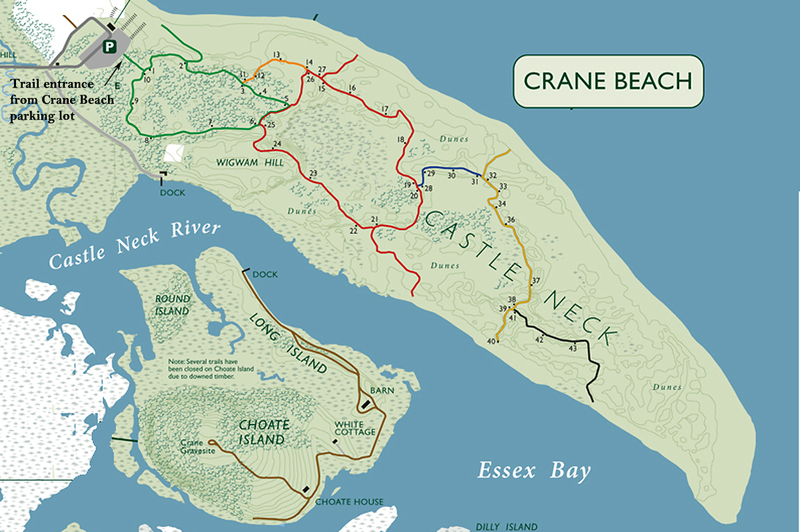 Crane Beach and all of Castle Neck are owned and protected by the Trustees of Reservations, which maintains over 5 miles of trails through the dunes. 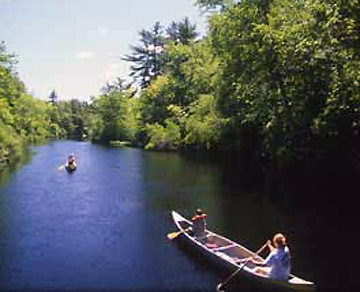 A sign on the far right of the main parking lot indicates the trail entrance. Head in and take a right at the first fork. You’re immediately in the dunes, but after a while the trail takes you through a forest of pitch pine. At the next fork continue right onto the Red Trail. Wigwam Hill rises before you with a steady climb. Near the top you’ll see a narrow trail on your left that takes you to the chimney, all that can be seen of a house long ago buried by the sand. Castle Neck and the dunes - Crane Beach and all of Castle Neck are protected by the Trustees of Reservations. 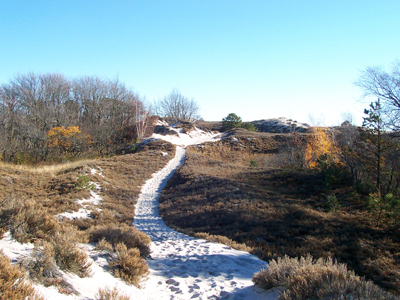 Pitch pine and scrub oak rise from the masses of marsh grass, sage green hudsonia and dune lichen lining the trails that wind through the dunes. Photos from Crane Beach and Castle Neck - After weeks of rain and a record-breaking cold spell, this was a beautiful day for a hike at Castle Neck, returning along Crane Beach.